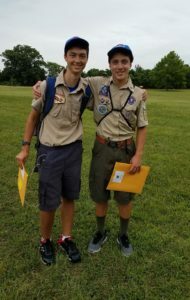 Congratulations to Patrick Brigham & Dominic Veltri for completing an intense week of training at the National Youth Leadership Training – Leadership Academy this past week in Washington DC. Patrick & Dominic are among 5 scouts from our Troop on the NYLT staff for the Westchester Putnam Council. They were selected to participate in this Advanced Leadership training conducted by the BSA by our Council’s NYLT coordinators. 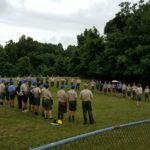 They spent 7 days training with 36 other scouts from around the country, visited the nation’s capital, met with a US Congressman and enjoyed the opportunity & experience. Both said the training was “Leadership on Steroids” – they felt they were well prepared for the challenge and really enjoyed it!